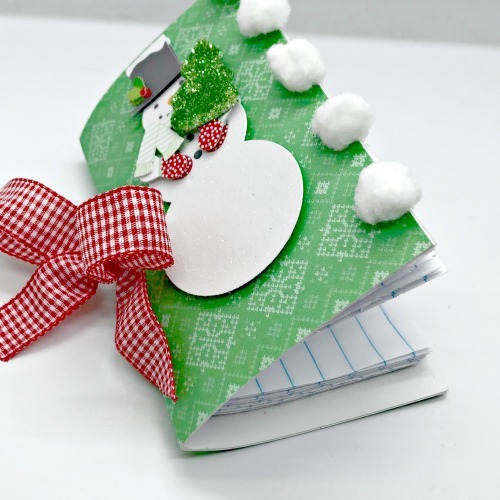 To begin I’ll be using wide-ruled notebook paper, a sheet of lightweight chipboard, a 6X6 paper pad, and embellishments. 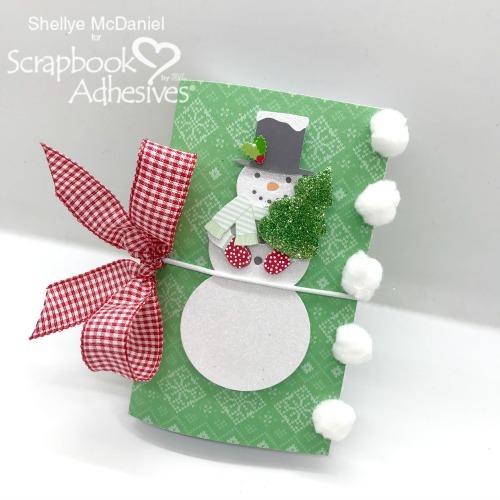 From Scrapbook Adhesives: 3D Foam Holiday Embellishment Kit, Adhesive Sheets 12×12 inch, Extreme Double-Sided Tape 1/4in, and Keepsake Envelopes. 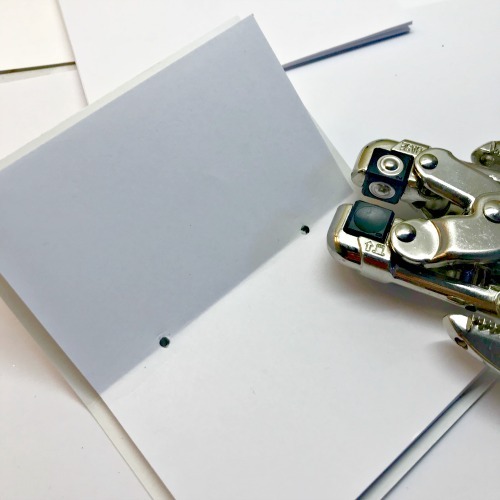 I started by taking several sheets of plain copy paper or notebook paper; roughly 15-20 sheets. 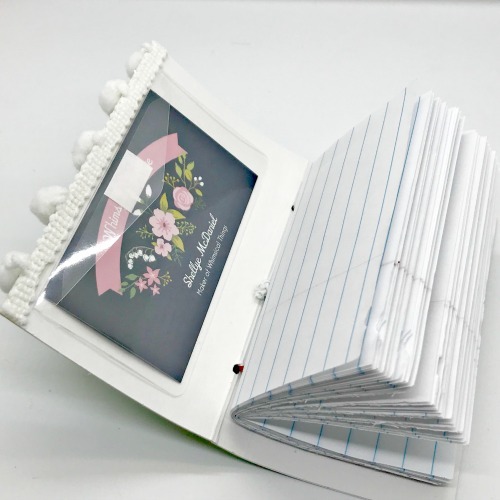 I cut them in half to measure 8.5″ X 5.5″. 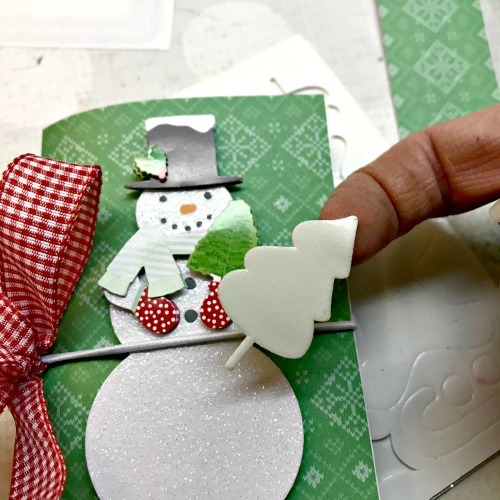 Cut the sheets in half again so that they measure 4.25″ X 5.5″. 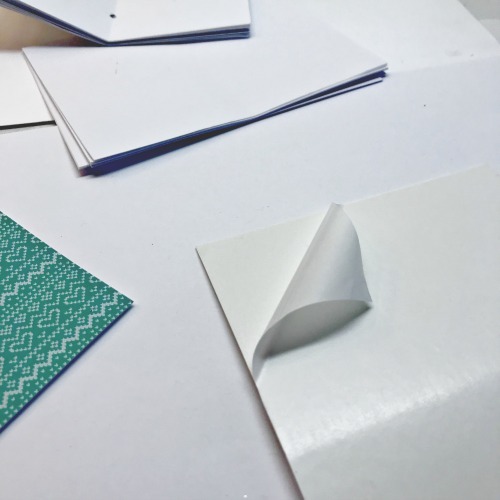 Next, all of the papers were gathered into a stack and then folded in half to measure 4.25″ X 3.75″. 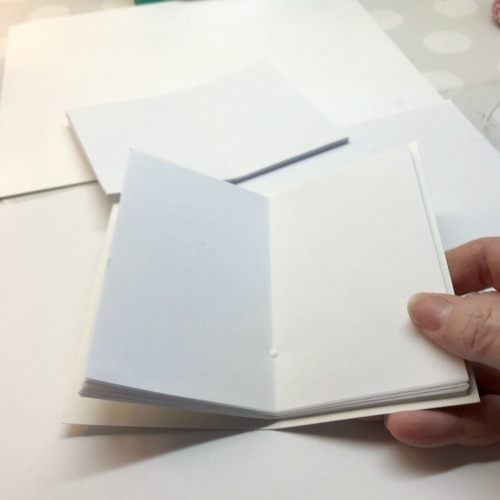 I took a 4.75″ X 6″ piece of lightweight, white chipboard and folded it in half to find the center. Next, I placed the paper stack on top of the chipboard and punched two holes along the center as shown above. Next, I dressed the cover of the chipboard. 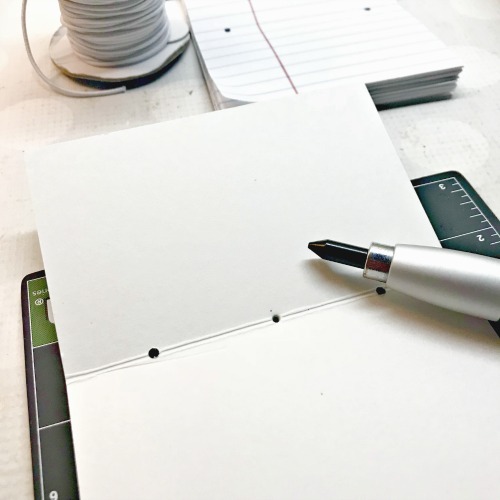 6X6 paper pads come in very handy for this! 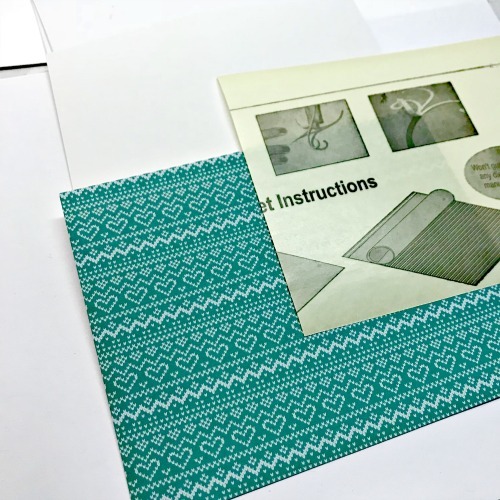 Cut the paper and Adhesive Sheet down to match the chipboard. I adhered the adhesive to the chipboard, removed the yellow backing and then attached the paper. After punching the first two holes, I decided that I wanted an elastic closure! I used an eyelet punch to create a hole in the middle spine of the cover. 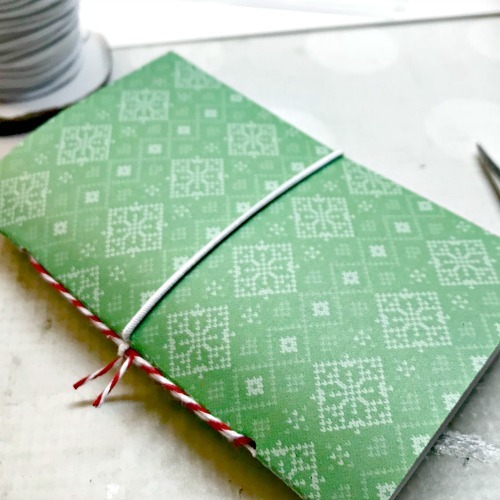 Thread through both ends of a piece of elastic and knot off before adding the pages to the book. 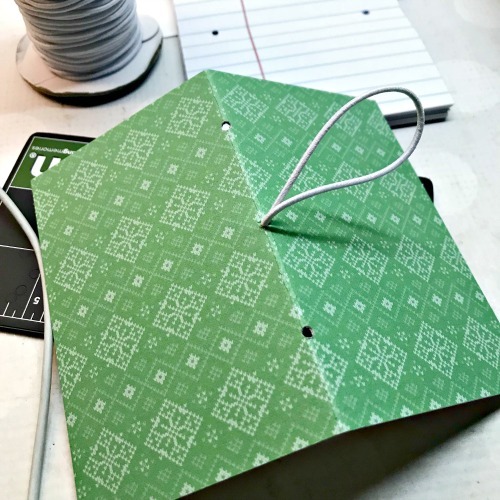 I added the pages to the inside of the cover using twine inserted through all of the holes. 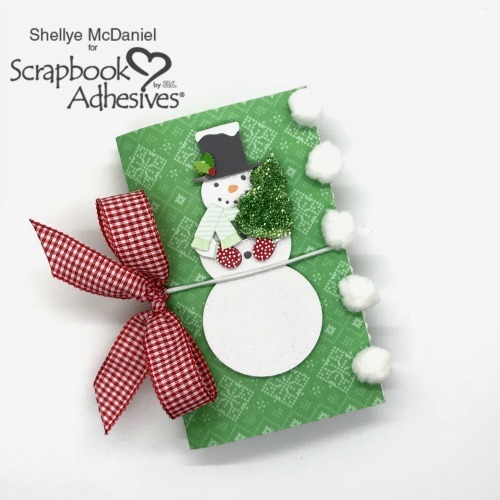 To the inside cover I added one of the 2.5″ X 4″ Keepsake Pockets. 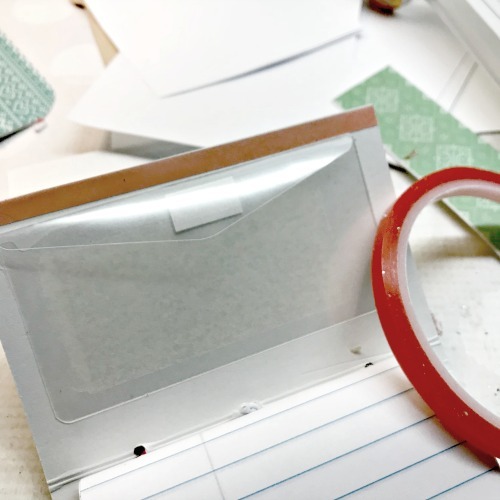 This is a perfect spot to store stamps, business cards, gift cards, etc. 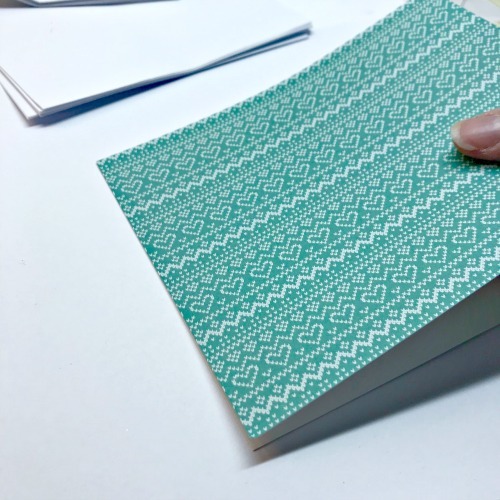 I also added a strip of the 1/4″ Extreme Double-Sided Tape to the edge of the cover, just above the Keepsake Pocket. 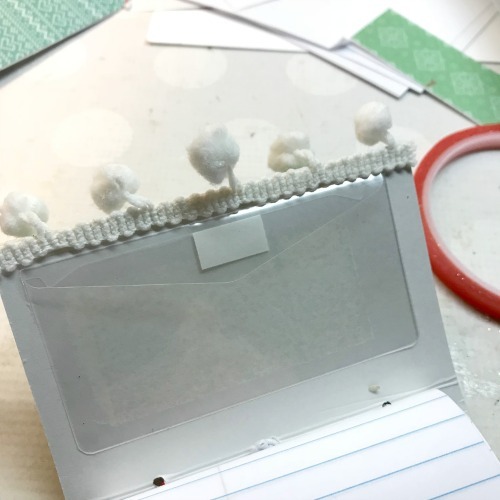 To it, I attached some cute pom pom trim. 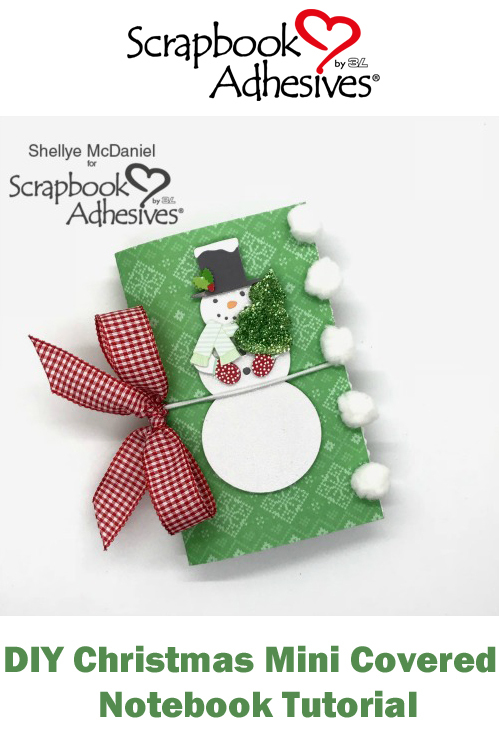 I’ve had this adorable 3D snowman in my stash for some time and thought he would be great on the cover. 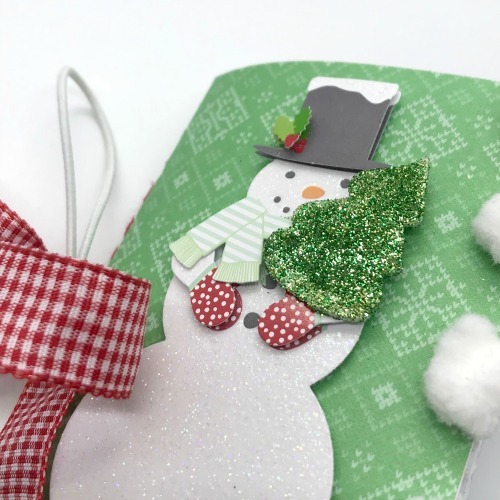 I embellished him further with a tree from the 3D Foam Holiday Embellishment Kit and then glittered with green. This entry was posted in 3D Foam Shapes, Adhesive Sheets, Adhesives, Beginner, Crafts & Tutorials, Extreme Double-Sided Tapes, Gifts, HomeHobby by 3L, Keepsake Envelopes, Mini Albums, Permanent Adhesive, Planners, Seasonal Craft Ideas, Skill Level, Tutorial, Wear your Adhesive on the Outside, Winter and tagged 3D Foam Holiday Embellishment Kit with Foil, 3D Foam Trees, Adhesive Sheets 12x12" (25 sheets), Adhesive Sheets 12x12" (5 sheets), Adhesive Sheets 6x12", Christmas, Extreme Double-Sided Tape 1/4", Gift, HomeHobby by 3L, Keepsake Envelopes, Notebook, Shellye McDaniel, Tutorial. Bookmark the permalink. 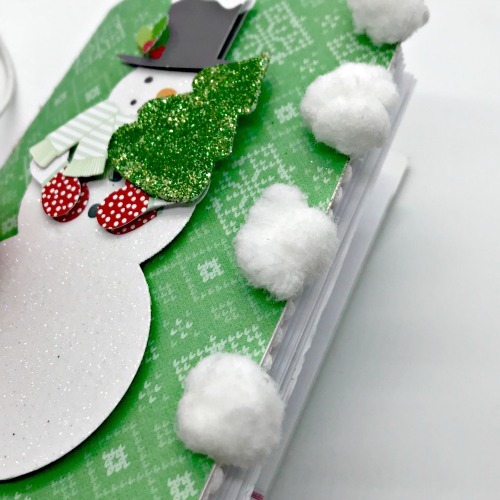 One Response to "DIY Christmas Mini Covered Notebook Tutorial"